#PurinaPartner. This post is sponsored by Purina. All opinions are honest and my own. To celebrate National Pet Month, Purina wants to celebrate our beloved pets by starting the trend of #PetPraising. Instead of focusing on humorous misbehavior, like pet shaming posts do, pet praising highlights all the awesome ways pets enhance our lives through everything they do for us, as well as the positive aspects of pet ownership. I have to hand it to my dog she is AMAZING with children and especially our two girls. 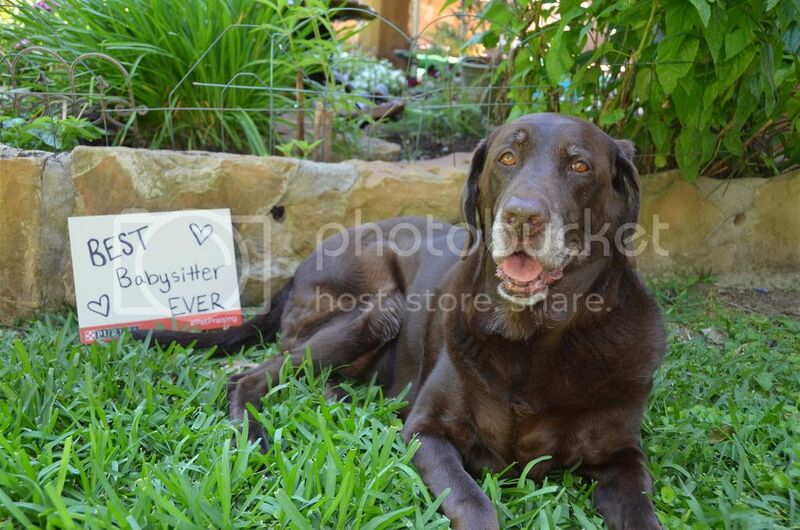 This dog deserves every part of #PetPraising for being the best babysitter ever. She dedicates her day to following them around and making sure they are safe. She may be 9 years old but she makes sure she can keep an eye out on those girls from the time they wake till bedtime. Purina is inviting pet owners to share their #PetPraising on Pure Love for Pets. Every pet praising photo submitted through the website from April 26th to May 24th has a chance to win the #PetPraising sweepstakes. The winner and their pet will participate in a professional photoshoot, which will be featured on Real Simple. Go to www.pureloveforpets.com and submit a photo to enter the the #PetPraising Sweepstakes! Remember you could win a professional photoshoot for you and your pet that will be featured on RealSimple.com!! Dont forget to check out the website to learn about all the great new items that Purina has to offer! This entry was posted in #PetPraising, National Pet Month, Purina, Uncategorized and tagged #PetPraising, #Purinapartner, ad, betterwithpets, National Pet Month, Purina.